So far, most of Streetsblog L.A.’s coverage of Measure M, Metro’s sales tax proposal that will be on the fall ballot, has been positive. With our eyes fixed on graphics showing the growth of our rail and rapid bus network, a robust active transportation funding program, and some flexibility in the language allocating highway funding; there’s a lot to like in the proposal. But no ballot measure, especially one of this size, is perfect and there are many groups fighting the ballot measure for a variety of reasons. Here’s a list of some of the main opponents of Measure M, along with a few others that might join the fight in the future. Fight for the Soul of the Cities and the Bus Riders Union – The BRU has fought tooth and nail against Measure R in 2008 and Measure J in 2012. Their arguments, both then and now, focus on two points. First, they argue that Metro cannot be trusted with such a large infusion of funds because of a poor civil rights record. Second, they feel the measure’s focus on automobile flow and rail expansion instead of more robust growth for the bus network and greater fare subsidies won’t actually do anything to improve mobility or the environment. Read more details on their arguments, here. Carson, Torrance, Rancho Palos Verdes, Signal Hill, Santa Fe Springs, Commerce and Norwalk – These seven southeast cities argue that because the main project for their corner of the county, a freeway widening, isn’t scheduled for construction for decades that they are being forced to subsidize the rest of the county’s transportation plan. A recent lawsuit filed against the project also alleges lies in the approved ballot language. The City of Beverly Hills – John Mirisch isn’t just a commenter at The Source, he’s also the Mayor of Beverly Hills. Given the city’s opposition to one of Metro’s signature projects, the Purple Line Extension from mid-town to the V.A. Hospital, it wouldn’t be a surprise if the City renewed its opposition to a Metro proposed sales tax. Beverly Hills was a key member of the coalition that narrowly defeated Metro’s Measure J in 2012. Mirisch recently authored a long piece on the Huffington Post outlining why, in his view, a vote for Measure M will benefit Metro staff and developers and be bad for everyone else. 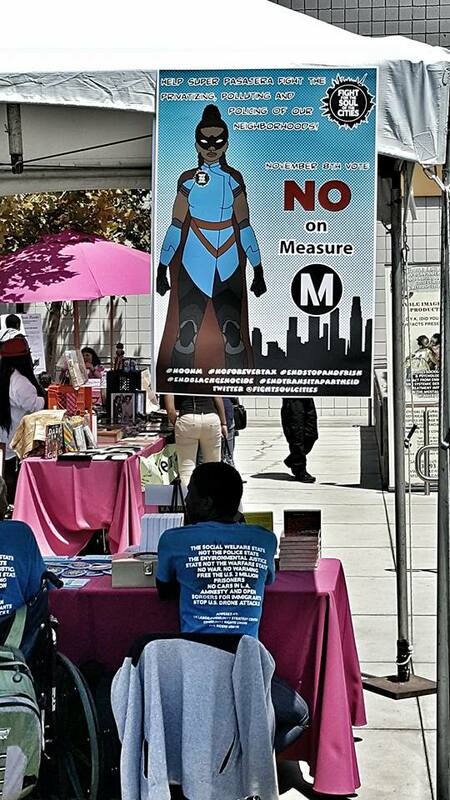 The Crenshaw Subway Coalition – In 2012, the Coalition was also a key member of the No on Measure J campaign mainly because there was not enough funding going to fun a full-grade-separated Crenshaw Line through South L.A.’s black-owned business districts. While the Crenshaw Line is under construction, an infusion of funds might not be enough to do the grade separation the coalition wanted four years ago. The organization is still active and is doubtless not happy with Metro. “Taxpayers Rights” Organizations – There are a handful of organizations that oppose every newly proposed tax including the Howard Jarvis Taxpayers Association. Even if they haven’t taken a position on Measure M yet, they almost certainly will. No on 710 – The No on 710 Coalition is widely believed to have fought Measure J because its imagery appeared at No on Measure J events and the issue of the proposed highway tunnel extension was brought up by opposition. However, when I reached out to one of the leaders of the organization, they stressed that they were not in opposition to Measure J in the past nor Measure M today. 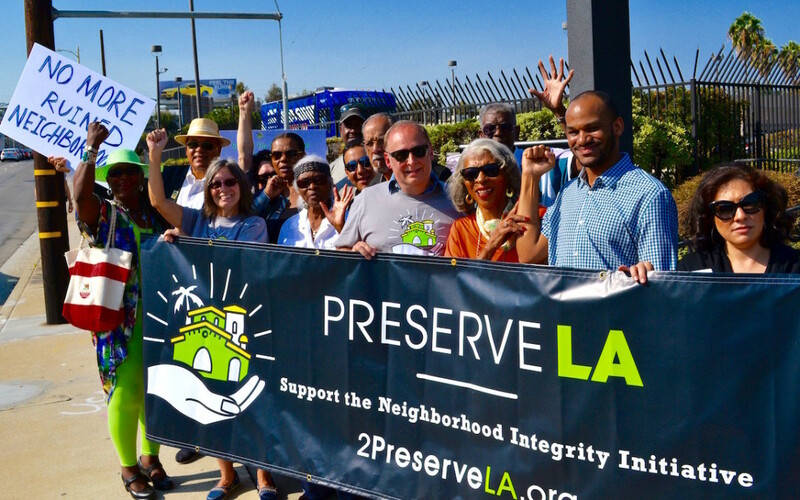 The Coalition to Preserve LA – The organization which is fighting to pass the Neighborhood Integrity Initiative in March of 2017 has yet to take a position on Measure M and quite possibly never will. However, some of the Coalition’s highest profile backers are vocal opponents of Measure M and some of Measure M’s highest profile supporters are opponents of the Neighborhood Integrity Initiative. Will this lead to opposition on Measure M? Probably not, but stranger things have happened. Did I miss someone? Let me know in the comments section.